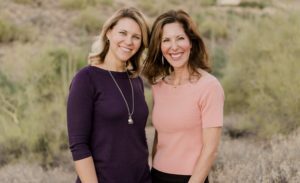 Whether you have been referred to us by a physician, friend, family member, therapist, or internet search, the first step in beginning your treatment process is to set up a FREE informational assessment with one of our program’s co-founders, Dr. Julie or Dr. Ashley. This 50-minute meeting will help us get to know you better and will help you to learn more about how our 2-day workshops and/or à la carte services may be helpful tools on your journey of change. At TheHealthyWeighOut, it is very important to us that our services be a good fit for your goals. Thus, we will use this time to learn more about you, your past bingeing/dieting behavior, your current relationship with food, and your goals for starting our program. At the end of this meeting, we will discuss together recommendations for how best to proceed, given what you want to accomplish. This is a no-pressure, no-strings-attached meeting; we want you to feel at ease to decide which services will be best for you. Review the dates of upcoming workshops and decide which one(s) work best with your schedule. Register online for the workshop(s) you would like to participate in. To enroll in just Workshop 1, please click here. To save money and enroll in all 3 Workshops, please click here. Upon registering for a workshop, you will receive a registration packet from our Client Care Coordinator, Jessica, via email. Please complete the packet and return via mail or fax. You’re all set! A few days prior to your workshop, you will receive a welcome email with information about what to expect, what to bring, daily schedule, etc. Review the Emotional and Nutritional services we offer. 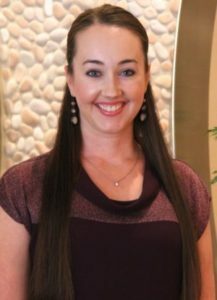 Contact our Client Care Coordinator, Jessica, to schedule your one-on-one services. She can be reached at (480) 941-6999, Monday-Friday. Complete the registration pack provided to you by Jessica, and bring with you to your first one-on-one appointment. As a member of TheHealthyWeighOut, you will be supported throughout your treatment process and welcomed into our safe community of like-minded, like-bodied individuals dedicated to sustainable, healthy change. Whichever manner you decide to engage in our services, we look forward to YOU being our next happy, success story!